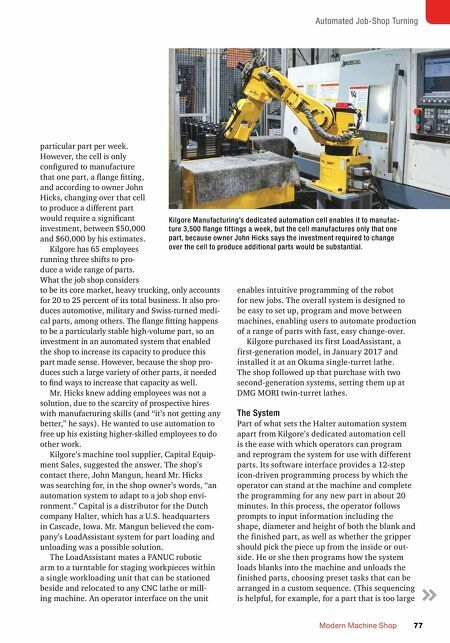 MMS JANUARY 2018 76 mmsonline.com ROBOTIC LOADING 76 MMS JANUARY 2018 An Automation System for a Job Shop Environment A flexible robotic part-loading and unloading system enables a small Indiana shop to boost production without a large investment. 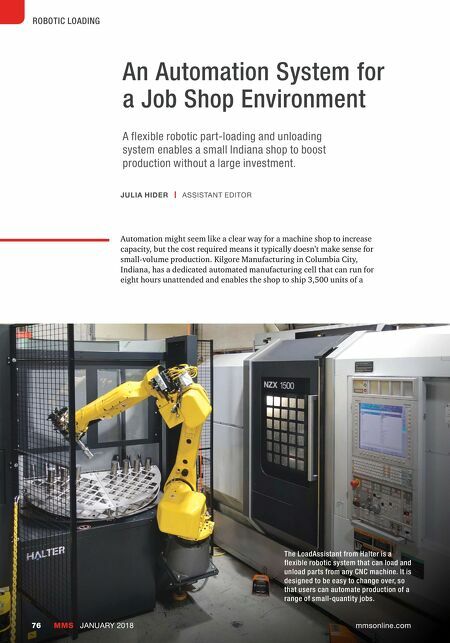 Automation might seem like a clear way for a machine shop to increase capacity, but the cost required means it typically doesn't make sense for small-volume production. Kilgore Manufacturing in Columbia City, Indiana, has a dedicated automated manufacturing cell that can run for eight hours unattended and enables the shop to ship 3,500 units of a JULIA HIDER | ASSISTANT EDITOR The LoadAssistant from Halter is a flexible robotic system that can load and unload parts from any CNC machine. It is designed to be easy to change over, so that users can automate production of a range of small-quantity jobs.